Hearthstone is – at its heart – a collectible card game in a similar vein to Magic: The Gathering. You draw cards, spend mana to play them, and attempt to reduce the other player’s hit points to zero and win. The catch here is the very heavy World of WarCraft tie-in. If you played Blizzard’s seminal MMORPG for a length of time you’ll feel at home with the characters, units and abilities on hand. 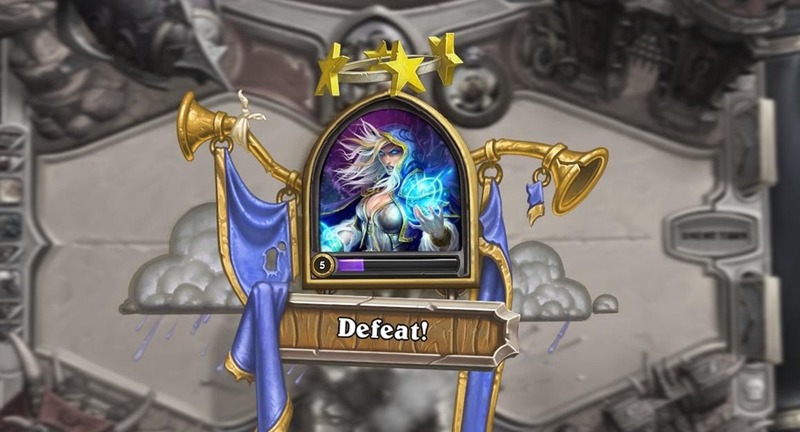 Everyone starts the game with the mage class (personified by Jaina Proudmoore) with the rest of the original classes unlockable once you defeat them in practice. That has been my biggest hurdle: I am really bad at CCGs. So far I’ve only managed to unlock the paladin, priest and warlock classes, and those after prolonged struggles. There’s a thought process that I apparently don’t get to these games. Fortunately, Will does get it and has offered his take on Hearthstone here. The turn based game play with card-type action is quite fun. I think for the most part I enjoy the mage mainly because her deck can attack with both magic and strength. The main part of the game is basic, sort of a slide show of action until your turn when you can then attack or attempt to defend. As a mage you can do both. The warrior is fierce but not as articulate as the warlock. The gameplay is fun and it’s pretty intense, as if it were a real life game of cards (just with more action and animation). As with many games this are no different difficulties. It is only as hard as you let it be. If you learn the pattern to any game you can beat it. But what has excited me is that this game is not just based on your skills alone – you can play multiplayer as well as solo practice. The bad part is earning coins to unlock regular and expert cards. You don’t have to spend real money, but you do have the option of purchasing extra with cash. As Will alluded to, this will be a free-to-play game with a cash shop for purchasing new cards. Providing new cards for real money can be a direct power increase so I look forward to seeing how Blizzard manages the balance between players who pay and those who don’t. After their Diablo III real money auction house, they haven’t shown that they can handle that aspect of a game very well. We will continue to cover Hearthstone as it continues towards its full release, so look forward to that on AAGH.